If you brush shoulders with Prof. Tingting Fan in the corridor, chances are, you may pass her as one of the Business School students. She has such a youthful look and a frisky air about her, that it would be hard to believe she is a professor with several years of research and teaching experience under her belt, and a successful track record of helping students bring their business ideas to life – with great results, no less! 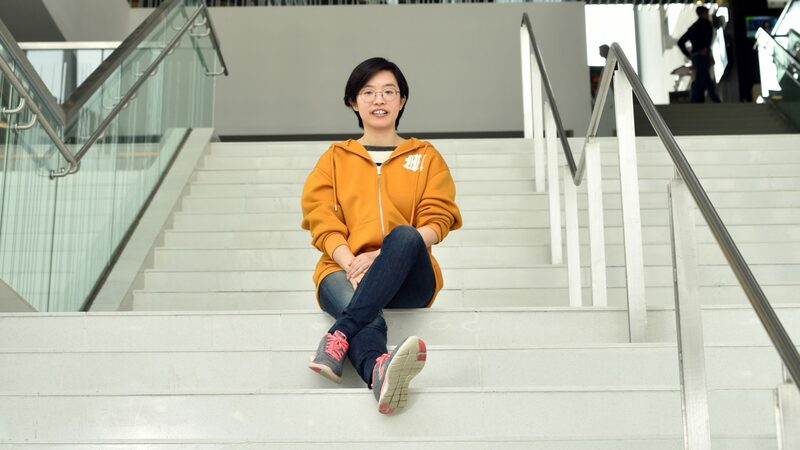 Meet Prof. Tingting Fan, the young scholar who joined The Chinese University of Hong Kong (CUHK) Business School in 2014 as an Assistant Professor in Department of Marketing. Her expertise lies in digital marketing, marketing management and new product management. Prof. Fan’s educational pedigree hails from the New York University Leonard N. Stern School of Business, where she obtained her PhD in 2014. Prior to studying in the United States, she received her Master’s degree in Economics and Bachelor’s degree in Business Administration at Peking University. In October 2018, she won CUHK’s University Education Award. The award is the university’s most prestigious award, recognising the exceptional work of faculty members who bring learning to life and inspire students to realise their full potential. Upon receiving the award, Prof. Fan felt a great sense of encouragement – not just for herself but for all the research-oriented young academics who might not believe they could properly balance teaching and research. “It proves that teaching can be fun and enjoyable and is worth the effort,” she notes. In fact, “enjoyable” and “fun” are the keywords that describe her teaching style. How does she always manage to make her classes enjoyable and fun? Her unconventional reply, “By being an interesting person. A researcher’s life is quite boring, so being interesting is what makes my life – and my classes – fun,” she says. As much as possible, she incorporates real-life examples and cases in her teaching so that her students are not just learning the theories but seeing how to put concepts to work in actual situations. “Interesting things are all around you. You just need to discover them with an open mind. You also need put in some effort to find interesting things, which will in turn enrich your life,” she emphasises. Outside the classroom, Prof. Fan is constantly on the lookout for interesting things to share with her students from a marketing standpoint. She finds her students more excited and active if she introduces topics not found in any marketing textbook. Window shopping, for example, is a rich fodder for her teaching materials. She notes that the mall near the university – the New Town Plaza – attracts a lot of mainland tourists who cross the border and perform shopping sprees over the weekends. She also notices how shops switch out very frequently – an indicator of what is trendy at the moment and what has gone out of style in the eyes of the mainland consumer. This, to her, is a great way to study consumer behaviour and preferences of a specific market segment. Another exciting exercise she has introduced to her students is to show them new films and ask them how they would predict box office sales, what data they would like to collect, and what model they would use. In the end, they will see which model of prediction is closer to reality. When it comes to the subject of new production development, Prof. Fan would often ask each of her students to bring to class a product that has been newly introduced into the market or to come up with a new product concept themselves. If the products they have brought do not seem very interesting, she would try to come up with some suggestions of modification. For example, some students have come up with the idea of a mobile app that gives an alert to people to get off the train when they are approaching a certain station. But, according to Prof. Fan, this concept is not that groundbreaking because train rides in Hong Kong are relatively short and people don’t usually fall asleep during their ride. So she suggested instead to improve the app by adding icons of famous sightseeing places and restaurants on the subway maps of all major metropolitan cities. Such an app would be very useful for tourists since no other apps perform a similar function. Prof. Fan also relies on news publications such as The Wall Street Journal, Time and The Economist, to turn current events and emerging trends into case studies in her classes to illustrate theories. “The theories I teach may remain the same, but the examples I give are in sync with what is happening out there,” she says. Prof. Fan’s research interest includes quantitative marketing, consumer experience with hi-tech products and services, digital marketing, branding, and empirical industrial organisation. Her research has won research grants from Wharton Customer Analytics Initiative, Marketing Science Institute, Product Development Management Association and Hong Kong Research Grants Council. 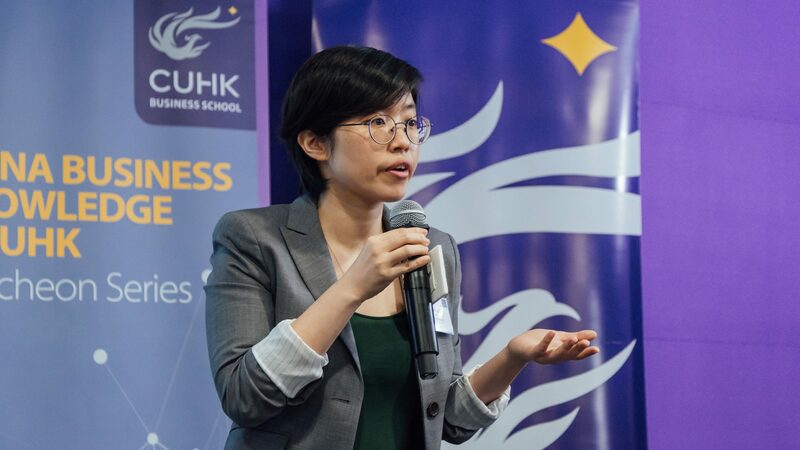 In the eleventh talk of the China Business Knowledge @ CUHK Luncheon Series: How to Attract Potential Investors, based on her research findings, Prof. Fan shared with the audiences her insights on what makes or hinders potential investors to support a crowdfunding project. What was her most satisfying moment in her relatively short but successful teaching career so far? Paradoxically, Prof. Fan does not expect – nor wish – that her students agree with every single suggestion that she gives. “Every moment when a student challenges me, debates with me, and shows me that I’m wrong and he or she is right – that’s the moment they are growing up and eventually will become better than me. Those are the moments that I truly enjoy,” she says. This article is an extended edition of the story entitled “Prof. Fan Tingting on Being Interesting” which was first published in the CUHK website. 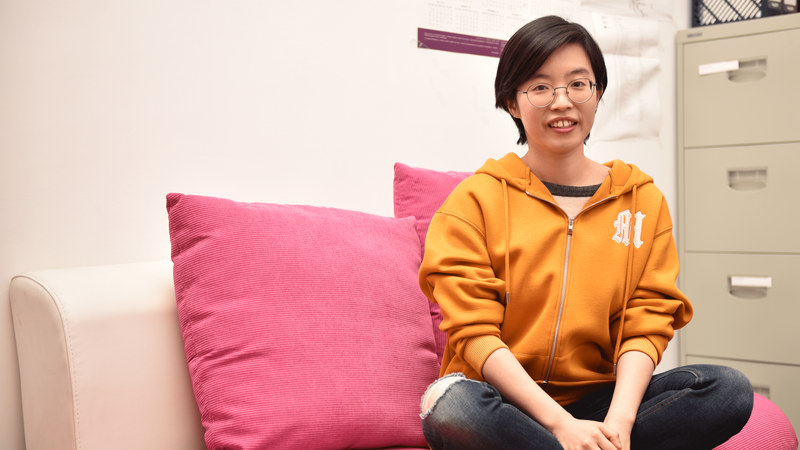 The story was repurposed and edited by CUHK Business School’s Marketing and Communications Office with permission from Information Services Office, CUHK.